MODpaleo + Paleo Parents: BOTH COMING TO CVILLE! 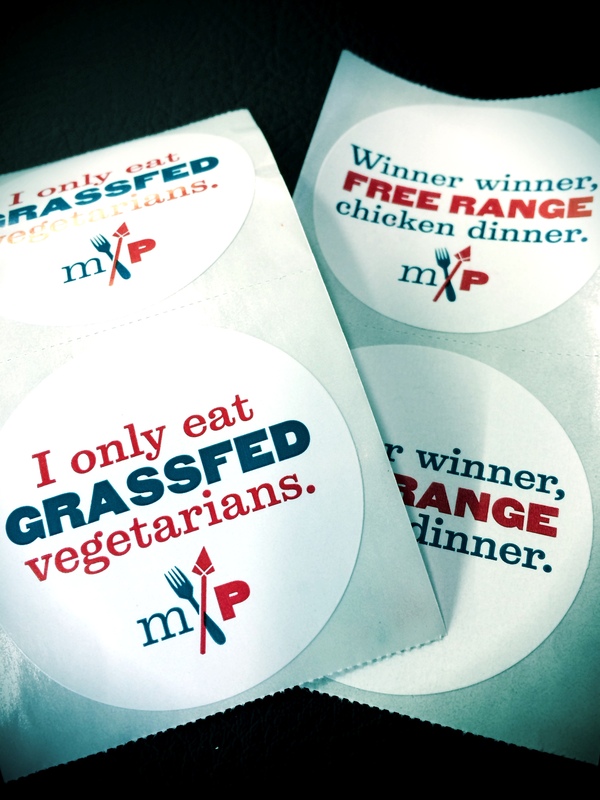 Over the last few months I’ve been all up in MODpaleo’s grill….pretty literally. Aside from making sure they catered meals at my office in Charlotte (their home base), I’ve also been talking up their upcoming delivery option for our folks at MADabolic Cville (or really any friends in Charlottesville or Virginia). So here’s the big announcement(s): THE WAIT IS FINALLY OVER! Meal delivery is here and you can get some special love and treatment right here through this link (aka, the portal to paleo). I’m so excited about this, not only for my own life convenience (I too like to take days off from cooking), but also for the lives of all of my favorite MADville friends. So, folks, go here and order up. I promise that you’ll be happy that you did. Efficiency finally meets convenience for a whole lot of clean, delicious eating without having to shop, cook, or clean. So, while I have your attention and we’re all fueled up on the thought of clean fuel, paleo meals and being amazing, here’s announcement #2 – and it’s a big one. 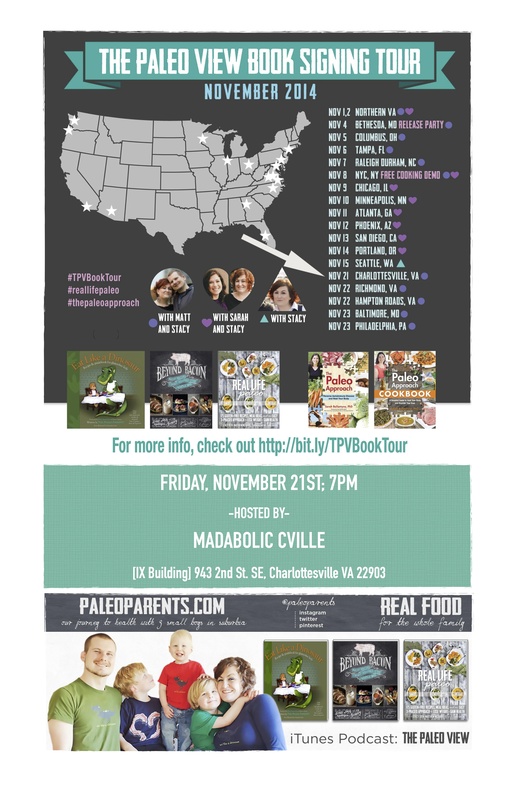 Paleo Parents (bloggers, authors, and also…well, real live paleo-living parents) are bringing The Paleo View Book Signing Tour to Charlottesville, and we’re hosting the event at MADabolic Cville. We’re pretty pumped to have them in Charlottesville (not to mention our own happy little piece of ‘ville), and hope that you will all come out to join us for this amazing night. Come on out, buy their book, and get it signed right there by the authors — and then, hey, maybe we can all go up to Citizen’s Burger Bar (CBB) and grab a bite. Why not dream big?